The word of God talks about the ten virgins in Matthew 25:1-13. Five of them were described as wise virgins, while the other five were foolish. The meaning of Virgin is pure, innocent, unused, untouched, dedicated, committed, faithful, honest, sincere, unfertilized and such like. Virginity can be referred to anything that has life and supports life. A church is a type of Virgin. A church can be pure if the teaching and worship systems are geared toward righteousness. A person’s heart, mind and character may be in a state of Virginity, until it is contaminated. A person can suffer contamination through what is heard, seen, touched, spoken or received. People split and quit the church when you try to speak or teach on the essence of Virginity. The time is running very fast. Evil is increasing every where and every second of the time. We need to learn how to keep our minds, hearts, ears, eyes and mouth pure in a Virgin state. The the pulpit be teachable and correctable. 1. Oil is a type of wisdom that we need to preserve our salvation. 2. Oil is a type of knowledge that we need to direct our path. 3. Oil is a type of eye that we need to see and discern the truth. 4. Oil is the that of ear that we need to hear the voice of righteousness. 5. Oil is a type of mouth that we need to declare the purpose of God on earth, as it is in heaven. 6. Oil is the type of tongue we need to save souls and rescue the perishing. 7. 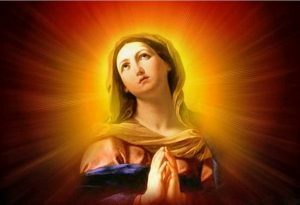 We need to be one of the wise virgins in order to fulfill our destiny on earth. 8. Let us learn wisdom wisely. 9. Let us not reject the counsel of wisdom. 10. Wisdom is the well of knowledge that never runs dry. God is calling you to share the gospel with a sin-sick-soul. God is calling you to pray for that soul continously until he or she is arrested for Jesus. Be a wise virgin that imparts live into others. Let them not rest until their soul is saved and rescued from perishing. Let that soul not have peace until they have surrendered to Divine arrest. Let there be a hunger and thirst for righteousness in them, until the gospel is fulfilled. Thank you Lord, for giving us the desire to draw souls into the kingdom of Righteousness. Amen!